It's "Ultimate Deals and Steals Week" on "Good Morning America," which means every single day this week, we'll have some of our biggest and best deals ever. 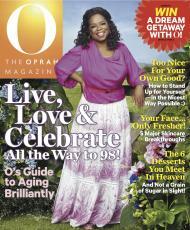 Tory Johnson invited O magazine’s creative director Adam Glassman to join her for a special-edition of "Deals and Steals" featuring personal favorites from Oprah and the O magazine staff. From swimwear, to infused olive oils, grapefruit-scented candles and lotions, the famous ActiFry and 7-layer caramel cakes, "GMA" viewers can score items with Oprah’s seal of approval for at least 50% off. Sold in high-end retailers and worn by celebrity fans including Jennifer Lopez and Charlize Theron, Commando is known as the “invisible” underwear brand. Newly launched -- and featured in the June issue of O magazine -- this swim line features the reversible “dip & flip” collection, which is two figure-flattering suits for the price of one. One and two-piece suits are available in a variety of prints -- all made of luxurious, quick drying microfiber. Easily create two different looks with just one suit. Available in sizes XS (0-2) to L (12-14). Shipping is $5. Sure to satisfy just about any sweet tooth, the 7-Layer Caramel Cake is made from a time-honored traditional Southern recipe and is one of Caroline’s Cakes’ best sellers and a favorite among O magazine readers and staffers. 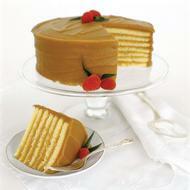 Moist yellow cake layers are filled with Caroline’s famous caramel icing. This cake may be frozen and refrozen for up to six months. Serves 14-20 and is 9” round. Shipping is $12. Cook tasty dishes and indulge in your favorite meals while reducing the fat. 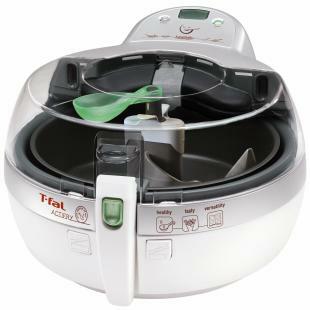 ActiFry is versatile, convenient and healthy, with the use of little or no oil. This device, which Oprah uses in her kitchen, automatically cooks a variety of dishes with a patented heat pulsing action that evenly cooks food at a constant temperature of 338° F, while the paddle stirs the food. Great for a broad range of meals including vegetables, meat, poultry, seafood and fruits—you can even make your own granola. Achieve results similar to a roaster or stir fry pan. Limit one per person. Shipping is $15. The zesty Grapefruit scent by NEST Fragrances -- an Oprah favorite -- consists of pink pomelo grapefruit and watery green nuances blended with lily of the valley and coriander blossom. The Grapefruit Collection is available across nine different products, including luxury candles, reed diffusers, body wash and body cream. Shipping is $5 or free for orders over $50. 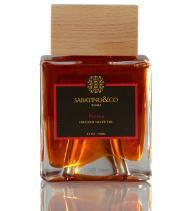 Made in Italy, Sabatino is one of the leaders in gourmet Italian products made with naturally infused extract and premium olive oil. Each flavor makes its own tasty match for anything from meats, pasta, seafood or as an addition to a sauce. This exclusive deal features Oprah’s favorite Truffle Oil, as well as bottles of Saffron, Pepper, Porcini Mushroom and Rosemary Olive Oil. With such beautiful bottles, Oprah has the whole collection on her counter. Shipping is $10.